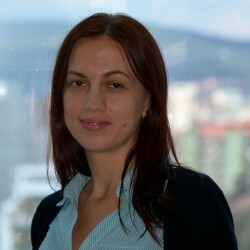 As a Technical Trainer, I ensure that new associates have a soft and efficient transition from newcomer to being a reliable member of the team. This is done through the on-the-job training, during which the new hire discovers what processes and tasks he/she has to perform and learns how to perform them. I also help trainees identify which abilities are necessary for the task performance and how they can acquire or improve them. Working at Office Depot has been first of all an opportunity to know myself better, to identify my strong and weak points and my path for development. I had the chance to get involved in many activities, initiatives and projects, which enlarged my field of knowledge and in the same time made me realize what type of activity suits me best, where I can perform at my best. Secondly, it’s a great opportunity to get to know others, to interact and bond with many people, to be part of a community. There is always the opportunity to do something new, to develop your skills by getting out of your comfort zone and see what you can do outside your daily tasks. Also, the environment colleagues create is great, and it is a pleasant feeling to see that you grow at the same time as your community. 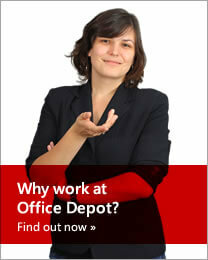 Office Depot is a suitable place to put to work your innate values such as integrity, accountability, inclusion. And, at the same time, it’s a safe and friendly environment to find out how you can grow professionally and personally and get started on this development journey. So, I advise you to join with a clear mind, as the environment is an incentive.